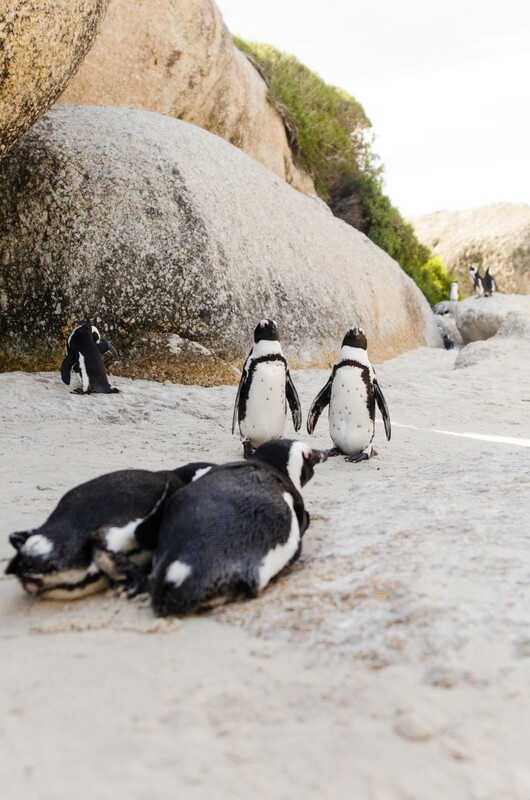 Located in the historic port of Simon’s Town, there’s a beach called Boulders beach. 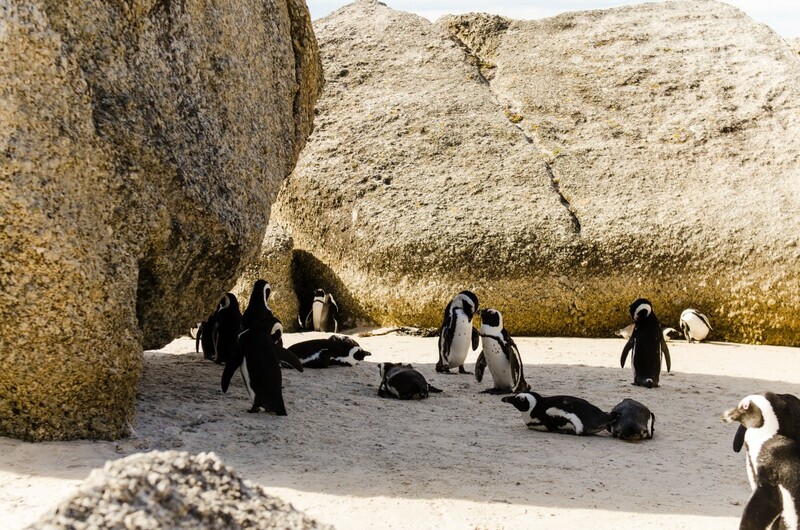 Boulders Beach is a sheltered beach made up of inlets between granite boulders, from which the name originated. Making it an ideal swimming spot for kids. Because it falls under the Table Mountain National Park Marine Protected Area, the beach is always clean and safe, and it is rarely crowded. 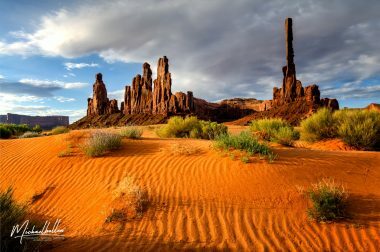 Sure, this comes at the cost of a small conservation fee, but who wouldn’t be willing to part ways with R65 for a day in this paradise? Nearby that beach is the home to a colony of penguins. They are realy adorable! 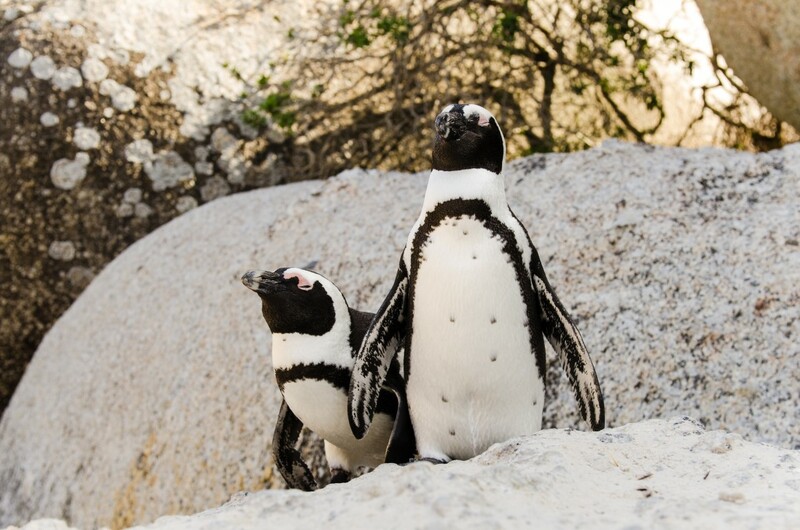 While Boulders Beach is a great spot to set up camp for the day it isn’t actually the best area for viewing the penguins. For this, there are three wheelchair-friendly boardwalks that make their way through the dunes and dense vegetation and around Foxy Beach. 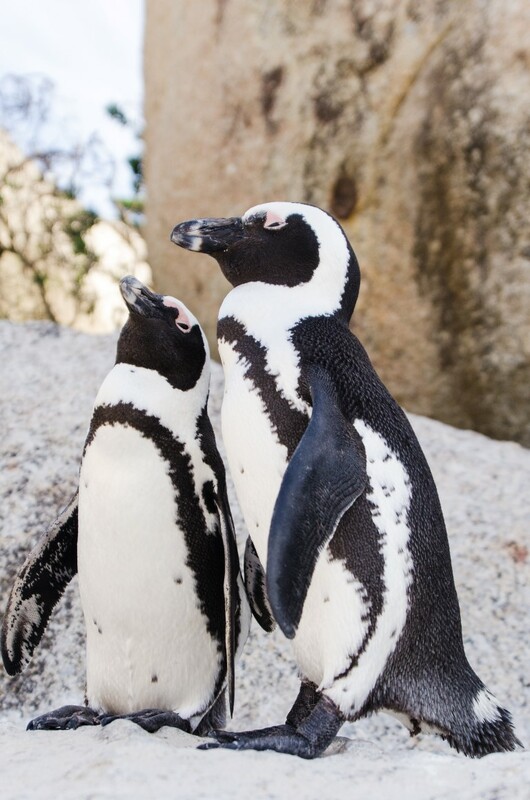 If you want to get up close and personal with the penguins – just not too close because those beaks are razor sharp!